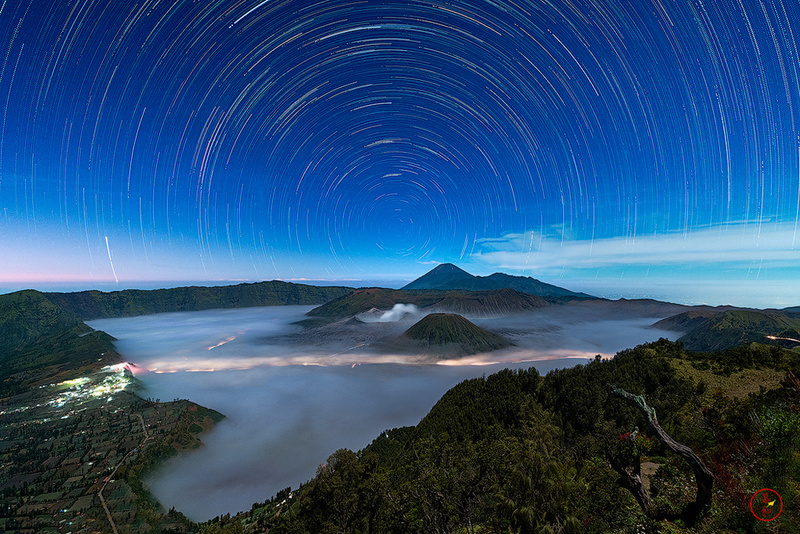 A long exposure shot, near Bromo volcano in Indonesia. I was in Bali the day before and asked my local friend how far we were from this famous volcano. He said it would be a long trip, around 10 to 12h one way. I asked him if we could go and he was nice enough to organize this trip. I was sitting in the back of the car and the long hours wondering when we would get hit by an oncoming truck since it is total madness at night on the road from Bali to Bromo. At one point, driving in the mountains, we were stopped by guys that set up fires on the side of the road and simply racket all incoming cars. We opened the window, gave the money and left, happy that we could continue our long journey as planned. As we went up the mountain in the 4x4 driven by a local, we went through thick fog. I was delighted as I had planned to go there in July for that reason. Up there, we were the first ones, giving us plenty of time to choose a good spot, as it got pretty crazy before sunset with hundreds of tourists flocking the site, using their flash when shooting the volcano?! !